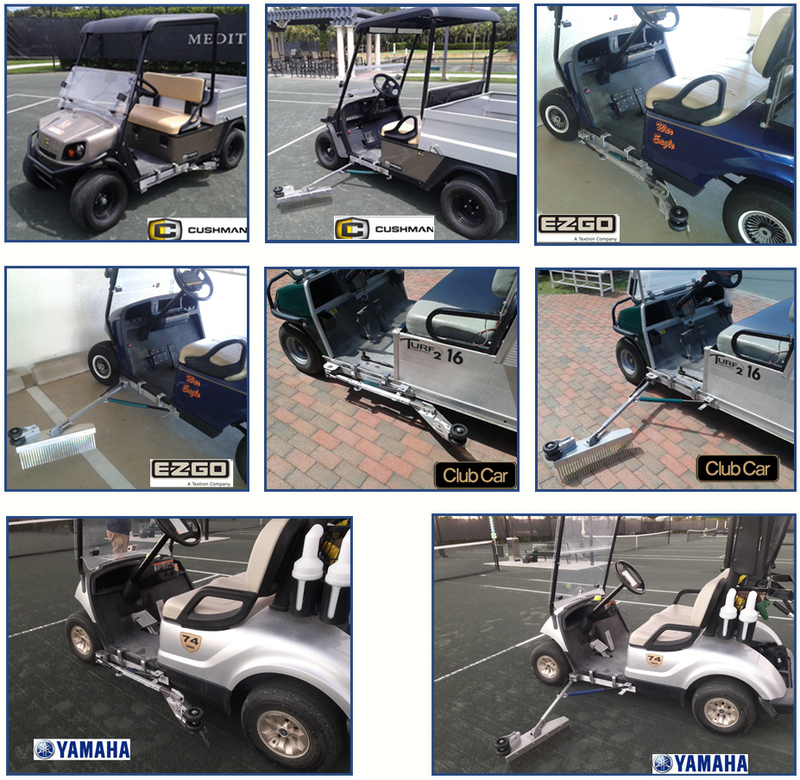 2.-	The Automatic Side Rake and the Foot Rake both can be installed in CLUB CAR, EZ-GO, CUSHMAN and YAMAHA or any golf cart that has the low lateral side frame of the driver side with an angle of 90 degrees. ( regular or maintenance models). "We do not represent any brand of golf cart, we only mention the brand as a reference to show our customers how the Side Rake looks installed on your golf cart and thus answer the question of whether the Side Rake can be placed or installed properly in your golf cart.."
3.-	The Replacement teeth panels are constructed of galvanized spring steel with rust resistance and sufficient flexibility to do the best work on the tennis court side and in the same way will not harm the line tapes or irrigation system. 4.-	As the tines wear down from normal use, replacement teeth panels are available. 5.- All of our products come with a 60-day Full Replacement Warranty due to manufacturer's defects.